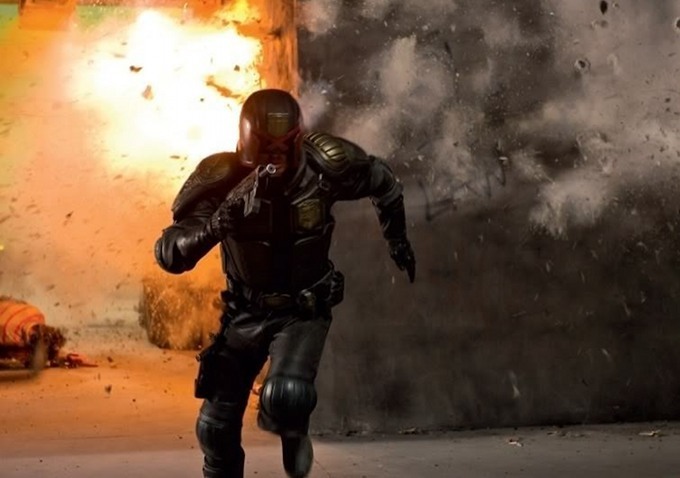 Though the release date for Pete Travis’s modestly awaited adaptation of 2000AD’s infamous Judge Dredd is a way off there’s a way you can see it early. Sadly it’s not a way which is open to us all, only those lucky enough to be visiting the geek nirvana that is San Diego Comic-Con. There will be a free screening and if you’re a twitterhound eager to salivate over Karl Urban’s lawmaster then you too can go to the website http://www.judgementiscoming.com/ and follow the various instructions. Reactions to the latest trailer varied from placated fans of the character and those who chose to see only the easy comparisons to Gareth Evans’ The Raid: Redemption, personally I thought it looked grimy, violent and unrelenting – just how I pictured Mega City One.